We have come to the end of this year's Historic Detail Hunt. 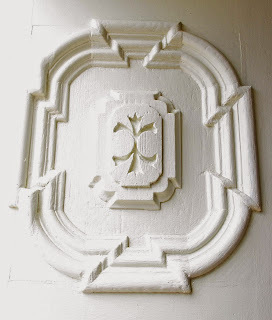 For those who haven't yet found all the details, the walking list has been updated again and now includes all thirty-one architectural details. It's still possible to join the hunt and be a winner! The deadline for submitting entries is midnight on Tuesday, June 2. Locate each of the architectural details, record the address or location on which it is found, and email your answers to Gossips. There are prizes for the four people (or teams) who submit their answers soonest and identify the most details correctly. Here is the final detail. 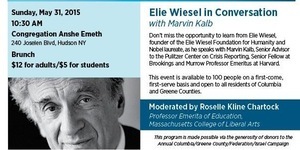 This morning at 10:30, Congregation Anshe Emeth presents "Elie Wiesel in Conversation with Martin Kalb," a simulcast from the 92nd Street Y in New York City. The event will be moderated by Roselle Kline Chartock and includes a bagel brunch. The synagogue is located at 240 Joslen Boulevard in Greenport. 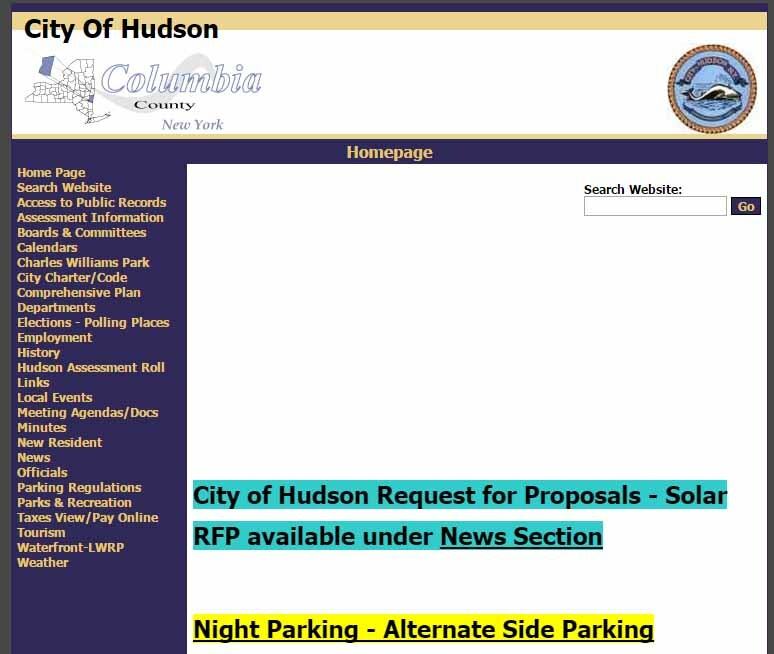 Created twenty or more years ago, the City of Hudson website is a favorite thing to complain about. People have been kvetching about the website and advocating for an upgrade--to make it more attractive, more interactive, a better source of information, a better reflection of our cool little city--for at least ten years. But, because of lack of money, the requirements of the platform that delivers the city code, the constraints of Digital Towpath, the website continues to crank along, with the only visible change being the introduction of an annoying and unattractive vertical crawl of type, highlighted in bright colors, that delivers breaking news about snow emergencies and parking regulations. Even though it's not the most engaging or aesthetically pleasing of websites, it's useful to visit it from time to time, as Gossips did last night and learned two things of interest. First, the City has put out a Request for Proposals for a "Power Purchase Agreement Providing a Remote Net Metered 2 MW Photovoltaic Power Production System." The RFP was issued on Friday, May 29, and the deadline for submitting proposals is Monday, June 15. It will be remembered that Herbert Ortiz of Energy in the Bank presented, first to the Common Council, on May 19, and then to the Economic Development Committee, on May 21, a proposal that the City enter into a twenty-year contract to purchase electricity from Energy in the Bank, produced by a $6 million solar farm to be constructed, for the City's exclusive use, in Schoharie County, on land that Energy in the Bank has already purchased for the purpose. According to Ortiz, if the City doesn't act quickly, it will miss out on some significant benefits. However, Common Council president Don Moore told Gossips today that the City would qualify for those benefits if it issued an RFP before June 1. "Solar Energy Contract" is one of the agenda items originally listed for the special meeting of the Common Council to take place on Monday, June 1, at 6 p.m. 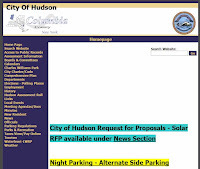 The second thing of interest one can learn from visiting the City of Hudson website is that alternate side of the street parking has been suspended on weekends for the summer, starting this weekend. 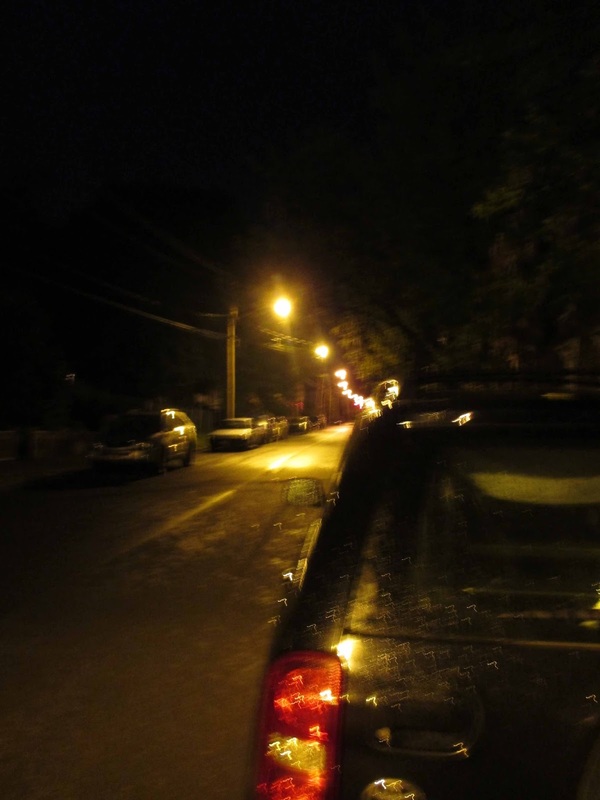 From now until the end of September, cars can be parked overnight on either side of the street (as they are on Gossips' block right now) from Friday to Saturday and from Saturday to Sunday without fear of reprisal. 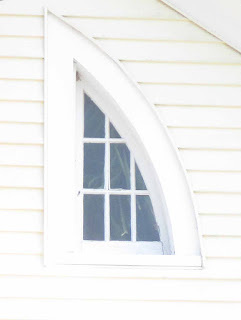 We've reached the penultimate detail in the 2015 Historic Detail Hunt. Before we get to that, though, let's review the rules and reveal the prizes. Those who take up the challenge, are asked to submit a numbered list, identifying each detail by the address or location of the building on which it is found. The lists must by submitted by email to Gossips before midnight on Tuesday, June 2. That gives you all of this glorious weekend and two more days to locate the details, submit your answers, and win a prize. 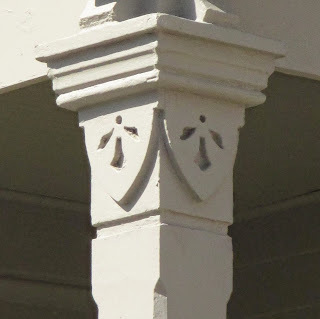 First Prize--a $50 gift certificate to the Red Dot--goes to the person (or team) who is first to submit a list identifying the locations of all thirty-one architectural details correctly. The three Runnerup Prizes--$25 gift certificates to Olde Hudson, Fairview Wines & Spirits, and Trixie's Oven--go to the next three people (or teams) to submit their lists and to identify the most details correctly. Equip yourself for the hunt by downloading the updated walking list, which has all details presented thus far, including this one--the detail for today. 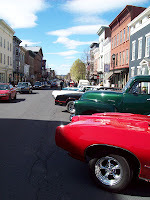 Three years ago, the 300 block of Warren Street was shut down on a Saturday in early spring by an auto show organized by Joe Fierro of American Glory. When the event was repeated the next year, the Common Council Legal Committee took up the task of revising the mass gathering permit process to prevent business owners on Warren Street from being blindsided in this way by street closures. If the parade or special event requires a street closure(s), the applicant must cause to be posted in the newspaper of record notice of such application within seven days of submitting an application for a special event or parade to the City Clerk. Said notice shall be published for two consecutive days. . . . Written public comments regarding the special event or parade application may be submitted to the Clerk within 10 days of the first publication of said notice. So today, this notice appeared on page 3 of the Register-Star. According to the notice, the application, which involves shutting down Warren Street between Third Street (the street on which most visitors enter Hudson expecting to make a right turn onto our main street) and Fourth streets for five hours on the first Saturday in June, was submitted on May 18--just nineteen days before the proposed event instead of the required 120 days. The first public notification of the event appeared in the Register-Star today--eleven days after the application was submitted and only eight days before the event is supposed to take place, completely eliminating the possibility for written public comments, which, according to the statute, must be submitted "within 10 days of the first publication of said notice." Within ten days of the first publication, the event will be over and done with. So what happened? Etsy, it would seem, has been promoting this Craft Party online for a while. Why did it take so long for it to occur to them that they might need a permit to shut down a block of Hudson's main street? And since, according to Etsy's own website, only two Etsy users are planning to attend this event, why do they need to shut down an entire block of Warren Street? As we know, Mayor William Hallenbeck vetoed the 2014 amendments to the law pertaining to mass gathering permits, and the Common Council overrode his veto in order to adopt them. What the mayor seemed to fuss about most at the time was this sentence in the statute, which gives him discretion in granting mass gathering permits: "Exceptions to this application process may be made for good cause shown upon petition to the Mayor." Could it be that the mayor is using this sentence as license to flout the unwanted amendments altogether? It will be interesting to see how the problem is resolved over the next week. The month of May is drawing to a close, and so is the Historic Detail Hunt. After today, there are only two more details left to be revealed, but there are still, counting today, five days left for you to locate them. Once again this year, there will be prizes for those who identify the most details correctly and submit their entries soonest. The prizes will be revealed tomorrow. In the meantime, here is the detail for today. Yesterday, on the front page, above the fold, of the print version of the paper, there was a report about an instance of combined sewer overflow: "Heavy rain leaks sewage into North Bay." Today, second from the top on the "front page" of the paper's online version, there is the link to a letter to the editor from Peter Meyer and Timothy O'Connor, representing the South Bay Task Force, responding to an article about the sewer separation project which appeared in the Register-Star on May 21: "Further discussion is indicated." The Historic Detail Hunt is drawing to a close—just four more details and six more days to find them all. The last detail will be presented on Sunday, but you have until midnight on Tuesday, June 2, to submit your answers. So put on your walking shoes or dust off your bike and hit the streets. Here is the detail for today. Once upon a time, you would never hear about an instance of combined sewer overflow unless you attended a Common Council Public Works Committee meeting and DPW superintendent Rob Perry mentioned it in his report, which rarely happened. Now, when Perry is getting pushback about the plan to separate the sewer lines that would discharge untreated storm water directly into North Bay, it makes the front page of the Register-Star, above the fold: "Heavy rain leaks sewage into North Bay." Sam Pratt, who has been watching the drama playing out with CEDC, Ginsberg's, the Board of Supervisors, and the State Authorities Budget Office, reports on a new episode featuring Gallatin supervisor John Reilly, who chairs the BOE Economic Development Committee: "Reilly goes rogue, nullifying Committee's vote." The days of the 2015 Historic Detail Hunt are dwindling down to a precious few, but there's still time to join the pursuit. May ends on Sunday, but you have until midnight on June 2, to identify the details and submit your answers. As last year, there will be a prize for the individual or team who identifies all the details correctly and submits the answers first. And there are more prizes, so even if you're not the first to submit your answers, you could be a winner. With only five days left in May, here is the detail for today. There are two articles in the Register-Star today that are related, although their interconnection is not fully explored: "CEDC to address state report findings" and "Judge rules in Ginsberg's cases." Sam Pratt, however, did make the connections. 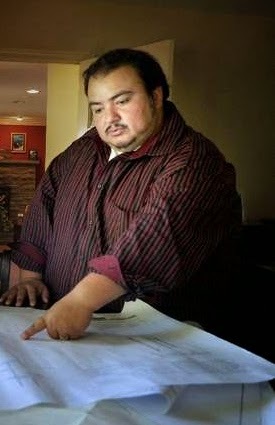 In his report yesterday, "Denial of Ginberg's permits overturned by Judge Koweek," he notes that the report from the State Authorities Budget Office states: "No harm has yet arisen from the board's failure to follow its own policies since the Ginsberg Foods expansion project was not approved by the Ghent Planning Board." Now that Judge Richard Koweek has overturned the Ghent Planning Board's decision to deny approval, will ABO determine that harm has been done? 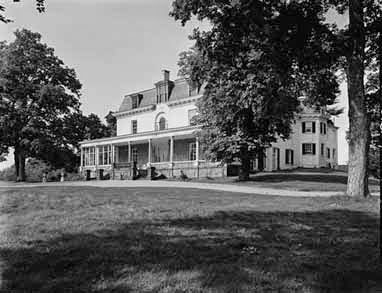 Sam Pratt reports a surprising recent development in the saga of the Ginsberg's expansion: "Breaking: Ginsberg's denials overturned by Koweek." 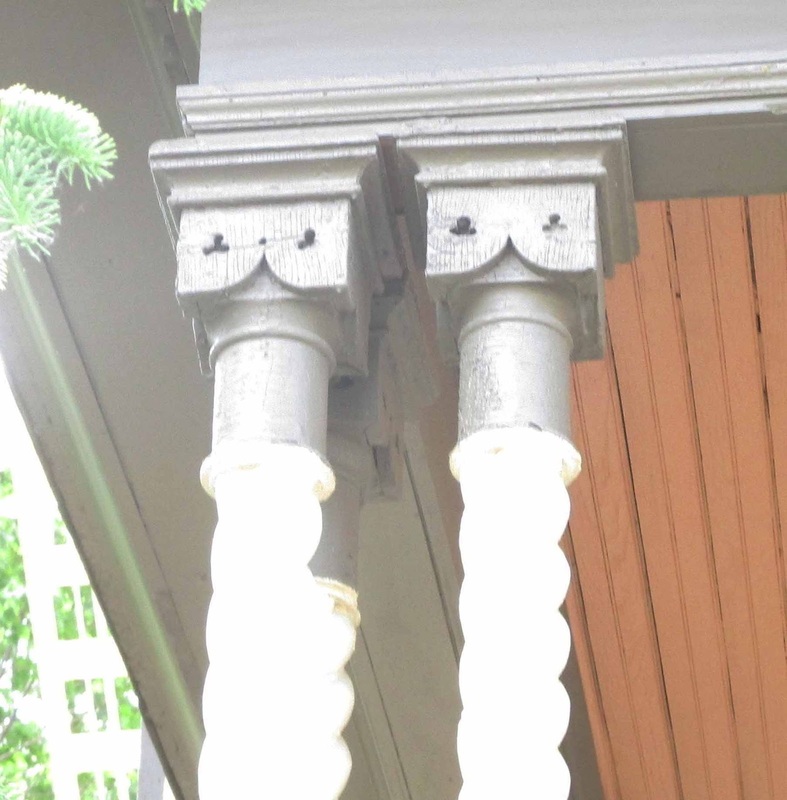 The Historic Preservation Commission met last Friday, May 22, for its second meeting of the month. The original purpose of the HPC's second monthly meeting was to vote on the language of the certificates of appropriateness prepared by the HPC's legal counsel, which are meant to state the commission's rationale for approving or denying applications. 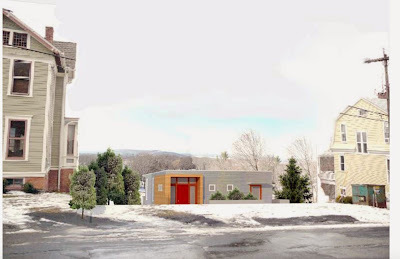 At its previous meeting, on May 8, the HPC had voted six to one to deny a certificate of appropriateness to the new house proposed for 11a Rossman Avenue. (Peggy Polenberg was the only one voting to approve.) When it came to voting on the certificate of appropriateness, however, Phil Forman had issues with the language of the denial. Forman protested that his reasons for determining the proposed structure incompatible were not represented in the certificate of appropriateness, which cited only scale and setback as the basis for denial. 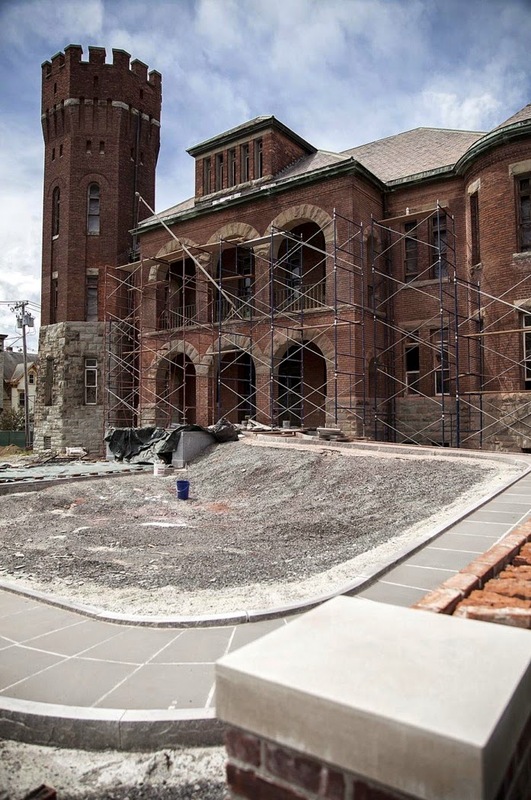 According to Forman, his issues with the building were not scale and setback but rather that "architecturally it had no relation to anything on Rossman Avenue," and it was this "lack of sympathy with the neighborhood" that made him vote to deny approval. It was decided that the HPC would present the language problems to the city attorney, and there would be a special meeting on Friday, May 29, at 10 a.m., to vote on a revised certificate of appropriateness. Also on May 22, HPC chair Rick Rector announced the formation of two committees of the HPC: an education committee and a historic districts committee. The first task of the education committee will be to update the brochure about historic preservation and the benefits and expectations of living in a historic district distributed by the City. The education committee will be chaired by Forman and will include Polenberg and Gini Casasco. 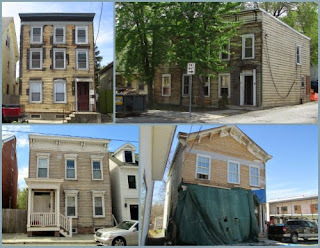 The historic districts committee is tasked with reviewing the existing historic districts and identifying potential new historic districts. This committee will be chaired by Miranda Barry and will include David Voorhees and Chris Perry. Rector will serve ex officio on both committees. The education committee will have its first meeting at 9:30 a.m. on May 29; the historic districts committee will meet immediately after the special meeting on May 29, which begins at 10 a.m. 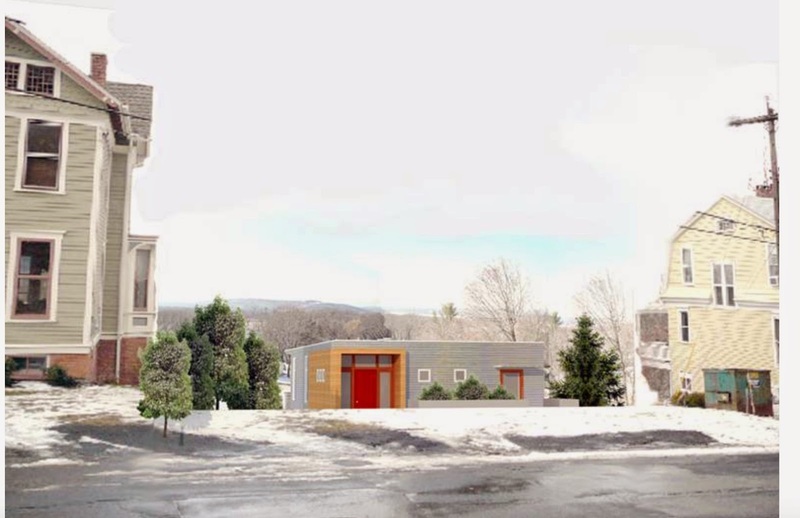 The Hudson Planning Board is now considering whether or not to approve a new configuration for the food trucks and Back Bar at 347 Warren Street. Meanwhile, the Daily Mail has a rave review of what it calls our "food truck piazza": "Restaurants on wheels: The food truck phenomenon." There's less than a week left in the Gossips Historic Detail Hunt for 2015, but that leaves plenty of time to join the hunt. Locate the details Gossips has been publishing every day this month, identify the building on which each is found, and submit your answers to Gossips before midnight on Tuesday, June 2. Here is the detail for today. On his blog Word on the Street, Scott Baldinger celebrates the unveilings happening all over Hudson: "The Ecdysiast Report." Timothy O'Connor, on his blog Leptodea, reports about the Shortnose Sturgeon, Hudson's own endangered fish. Rain was in the forecast for today, but it appears the skies are clearing. It's turning out to be a good day for continuing the Historic Detail Hunt. Take advantage of the opportunity, because in a week, the hunt will be over. Here's the detail for today. There hasn't been a new entry for a while in "Micropolitan Diary," Gossips' homage to and shameless imitation of "Metropolitan Diary" in the New York Times (the term microcosm was coined because Hudson is a metropolis in microcosm), so today is as good a time as any for one. This morning Joey and I were out, as is our wont, shortly after 7 a.m. for our first walk of the day. As we made our way along the fenced perimeter of a neighbor's yard, I noticed ahead some movement at the base of the foliage that grows just inside the fence. I thought it was the resident dog and got Joey set for a dog encounter, but it turned to be one of the human residents, doing some weeding under the hedge. This neighbor and I hadn't had a conversation in a while, and we had much to catch up on. We could see one another through a break in the hedge, which grows more than six feet high, and we chatted for fifteen minutes or more. As our conversation was wrapping up, another neighbor came by in his car. When he pulled up alongside where I stood on the sidewalk and realized what was transpiring, he exclaimed with mock relief, "I thought you'd gone 'round the bend and were standing there talking to the hedge!" There's the editorial in the New York Times this morning about General Electric, the cleanup of PCBs, and the future health of the river: "Decision Time on the Hudson." On his blog, Hudson River Zeitgeist, Billy Shannon has published the transcript of an interview with Greenport resident Leo Bower, who grew up on North Front Street and has a "deep personal history" with the shack colony at North Bay: "A People's History of the Furgary." 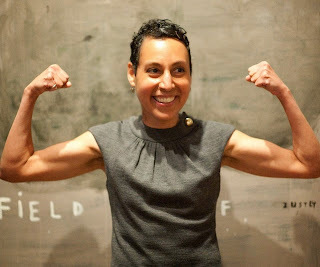 NPR this morning did a story about former fashion photographer David Jay, whose work appeared in such magazines as Vogue and Cosmopolitan, and his newest series, Unknown Soldier, portraits of veterans returning from the wars in Iraq and Afghanistan: "It's Not Rude: These Portraits of Wounded Vets Are Meant to Be Stared At." Another spectacular day, another chance to continue, catch up on, or join Gossips Historic Detail Hunt. 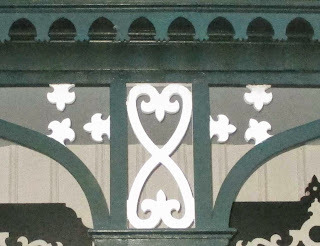 Click here for a walking list that shows the twenty-three architectural elements presented thus far. Here is the twenty-fourth--the architectural detail for today. Two years ago, in May 2013, Mayor William Hallenbeck announced, with great fanfare, that the City of Hudson was making "green history." 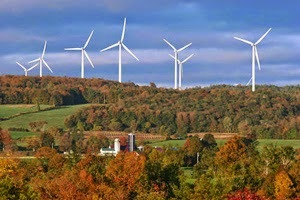 Starting in June 2013, all of the City of Hudson's electricity usage would be supplied by locally produced wind power purchased from Viridian Energy, whose "independent associate" was Patrick Manning, the Republican who represented this district in the NYS Assembly from 1994 to 2006. At the time, Hallenbeck boasted that Hudson was "the only municipality statewide to be exclusively powered by wind energy" and claimed that the move would "reduce the City's overall electric costs while bolstering upstate jobs." Then in September 2014, it was revealed that the City's annual energy costs had increased by 33 percent, or $113,782. There are many factors influencing energy costs, among them usage and cost of delivery, but a study done by Council president Don Moore comparing the data for two years--the year before and the first year of Viridian service--provided evidence that Viridian's variable rate had increased dramatically. Since then, the mayor has negotiated a favorable and competitive rate with Viridian, and the City continues its agreement with Viridian on a month to month basis. Enter Energy in the Bank, a company headquartered in the Poconos, in East Stroudsburg, Pennsylvania, which started just a few years ago as, by its own account, a "mom and pop" energy business. Herbert Ortiz, the CEO of Energy in the Bank, accompanied by Gordon Cochrane, had a meeting with the mayor and the Common Council president earlier this week. On Tuesday, Ortiz made a presentation to the Common Council, and on Thursday, he and Cochran returned to make another presentation to the Economic Development Committee. What is being proposed is that the City of Hudson buy all of its electric energy from Energy in the Bank, which will build an array of solar panels, worth $6 million, to produce power exclusively for Hudson. The array would be constructed on land in Schoharie County, which Energy in the Bank has already purchased for the purpose. The deal involves no upfront costs to the City of Hudson. In fact, the City would enjoy an upfront benefit. If the City enters into a 20-year agreement, which cannot be cancelled or renegotiated (although it seems the City can "buy out" of the contract after eight years), there are two options for future savings. Option 1: The City gets a half million dollars when the project "goes live" and saves $3.5 million in energy costs over the next 20 years. Option 2: The City gets no upfront money and saves $4.9 million over the next 20 years. Ortiz told the Council that the Port Jervis has already committed to an agreement with Energy in the Bank, and Coxsackie has signed a memorandum of understanding (MOU). At the Economic Development Committee meeting on Thursday, Moore observed, "If we were to sign an MOU and try to qualify for remote net metering [essential to realizing the promised savings, but an opportunity that will disappear at the end of June], we would need a Council resolution by the end of next week." A special meeting of the Common Council has been called by Moore for Monday, June 1, and one of the items on the agenda for that meeting, along with the plan for the police and court building due to the NYS Office of Court Administration, is "Solar Energy Contract." One interesting bit of information about Energy in the Bank, to be found on the Internet, is that in 2012 the Stroudsburg Area School District, apparently in Energy in the Bank's own backyard, backed out of the deal with the company. The Pocono Record, in an article entitled "Stroudsburg schools' solar deal not all it's cracked up to be," reports that two years after the district had approved a project that would create "a massive 48,000-panel, 11-megawatt solar farm" for its use--touted as "one of the largest solar projects"--nothing had happened. 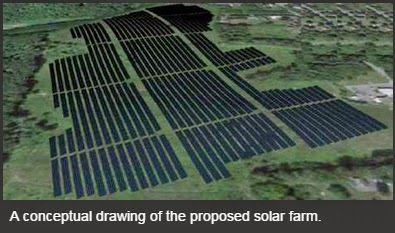 The solar array proposed for Hudson is much smaller, producing only 2.5 megawatts. Memorial Day weekend stretches before us--three days to do nothing but perambulate the streets of Hudson looking at the architecture. If you haven't already done so, today is the perfect day to start the Historic Detail Hunt. An updated walking list is available here, which includes all the details presented thus far, including the one for today. 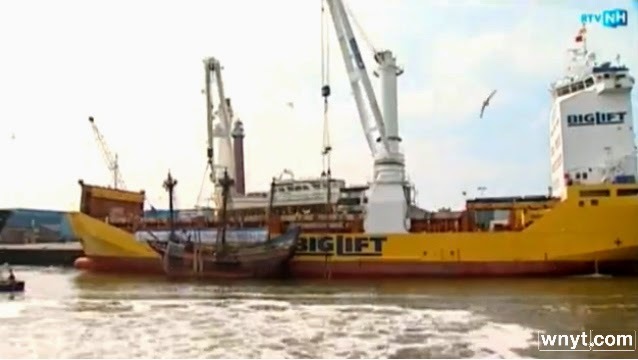 What should have stayed on the Hudson River arrived today at its destination across the sea: "Replica of Henry Hudson's Half Moon docks at Netherlands museum." There's a long weekend before us, with ample time to walk or cycle the streets searching for architectural details. Tomorrow, Gossips will publish an updated walking list which you can carry with you as you scour the city. Meanwhile, here is the detail for today. This week, the Hudson Area Library released these photographs of the work going on at the Armory to create the library's new home. 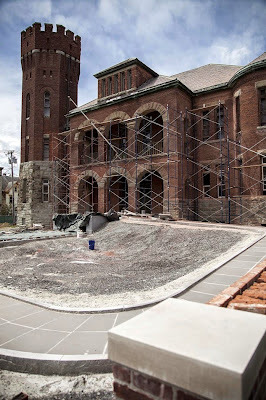 The first picture shows the handicapped ramp leading to the building entrance on North Fifth Street. 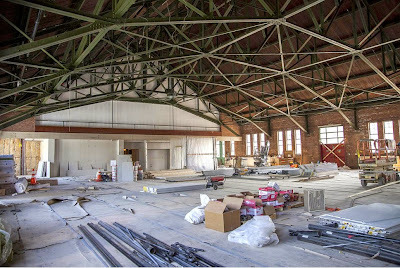 The second picture shows the west side, the Short Street side, of the drill shed which will become the new library space. 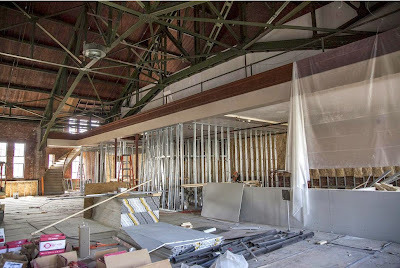 The third picture shows the west side of the space, facing North Fifth Street. The library anticipates being able to move in before the end of this year. There is no word on the progress of the part of the building destined to become the City of Hudson senior center. 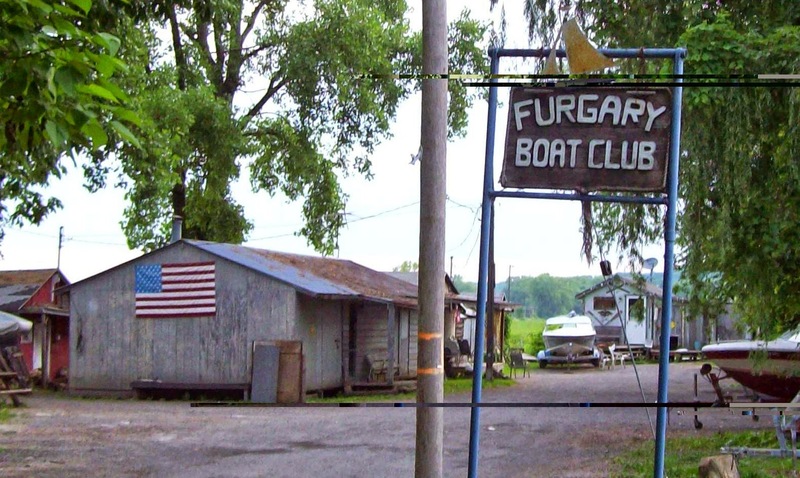 At Tuesday's meeting, the Common Council passed two resolutions having to do with the Furgary Boat Club, a.k.a. North Dock. The first resolution authorized Ambient Environmental, Inc., a woman-owned business, to complete asbestos and lead-based paint testing on "seventeen dilapidated structures located at property known as the Furgary Boat Club," for an amount not to exceed $4,500. The resolution was passed unanimously. 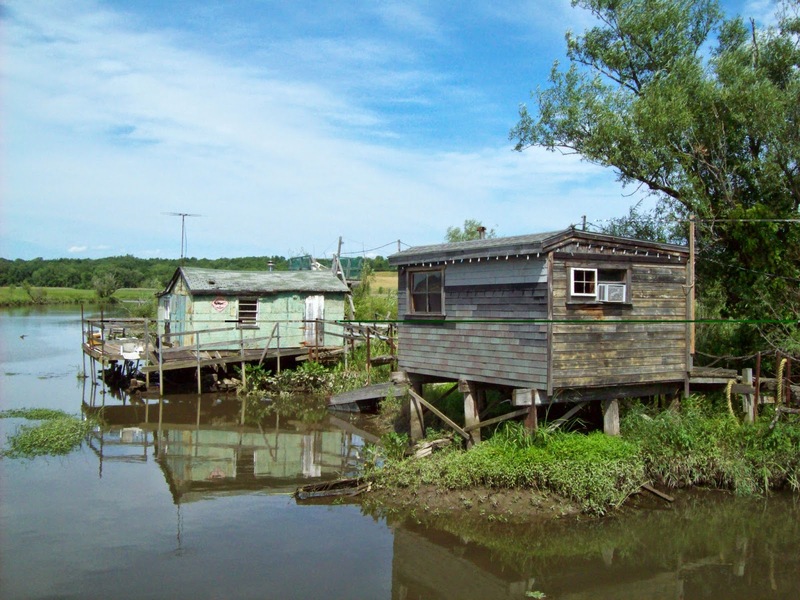 The second resolution authorized the City of Hudson "to commence to undertake the necessary studies, administrative steps and other matters in order to accomplish the removal of seventeen dilapidated structures without delay." 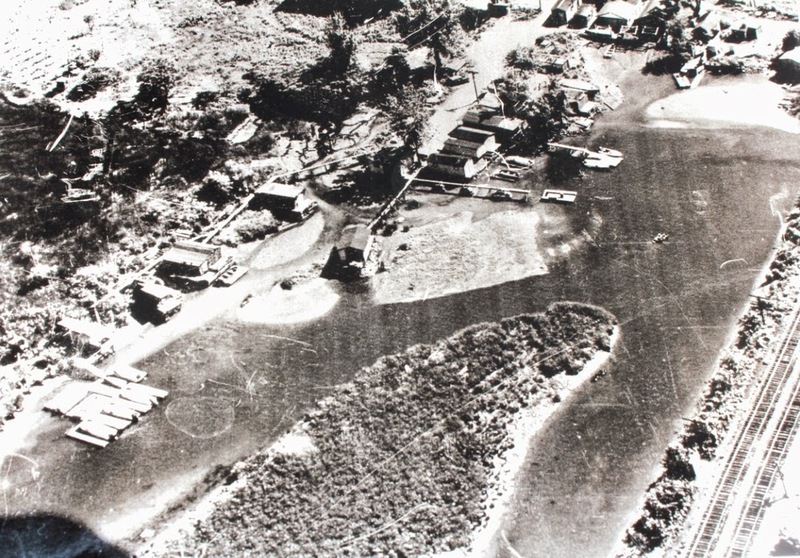 Before the Council voted on the resolution, they agreed to amend it to allow for the preservation of one or two of the shacks. The amended resolution was passed unanimously. Meanwhile last week, Gossips, as an interested third party, used the Office of Parks, Recreation and Historic Preservation's new Cultural Resources Information System to submit an official request to the State Historic Preservation Office for an eligibility evaluation of the site. The submission was deemed complete and assigned a project number on May 19. 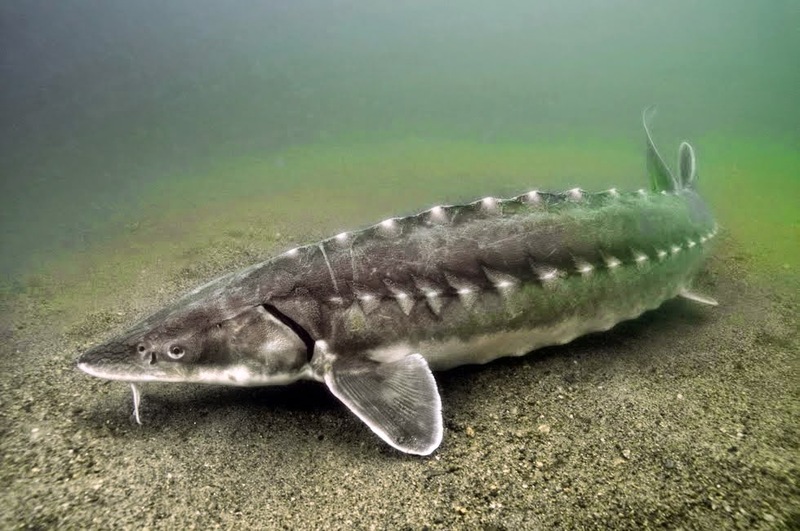 If ever the City of Hudson could benefit from having a Conservation Advisory Council it is now, when the City is pursuing a storm water separation project that will put the fragile ecosystem of North Bay in jeopardy. Although we could have used a CAC a year ago or more, the Common Council on Tuesday passed the resolution appointing six members to the CAC, which was created by Local Law No. 6 of 2014. The members are Holly Gardner, Michael O'Hara, Nick Zachos, Lauren Lafleur, Jonathan Lerner, and Carol Smillie. 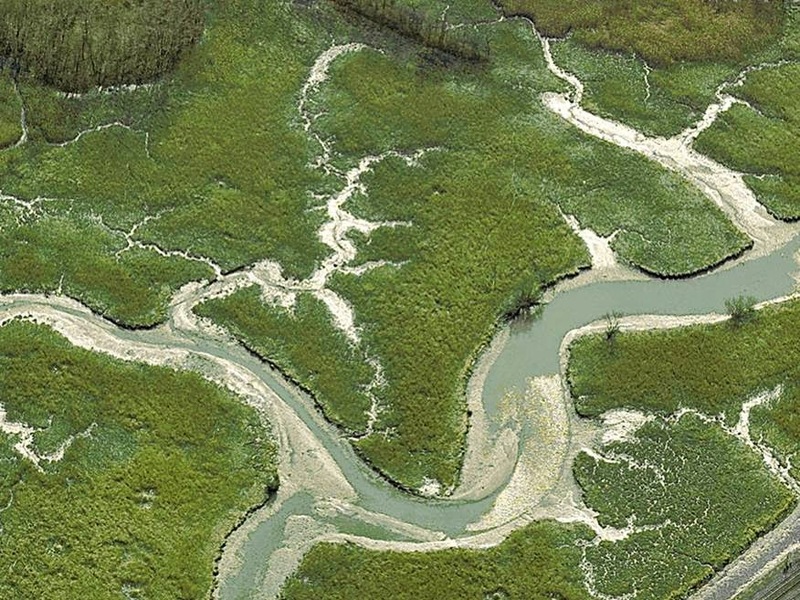 Let's hope that future planning and decision making for projects that impact the river and wetlands of North and South bays is informed by their collective knowledge and expertise. 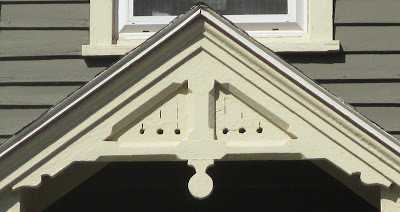 Gossips 2015 Historic Detail Hunt continues. There are still ten days left to join the hunt. Identify the building on which each of the architectural details presented by Gossips is found and email your answers to Gossips at the end of May. Here is the detail for today. The Common Council meeting on Tuesday night lasted for more than two hours, and the final issue to be taken up during the long evening was the resolution, originally introduced in March, declaring the proposed sewer separation project a Type II Action. In April, when it appeared that the Council would vote on the resolution, Council president Don Moore, responding to public concern, proposed that the vote be postponed until June 16 and the intervening time be used doing an environmental study. At the informal meeting of the Council on May 11, we learned the progress of that study. 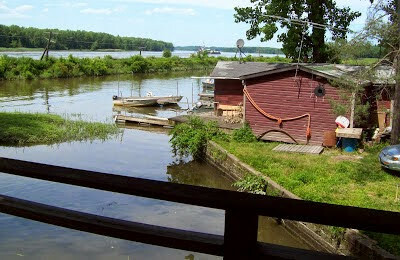 Moore requested a proposal from Saratoga Associates to do an environmental study, and after reviewing the information provided to him, Dan Shearer of Saratoga Associates replied, "I . . . share Delaware's opinion that this is a Type 2 action." At that meeting, too, the Council received a draft SEAF (Short Environmental Assessment Form) completed by Delaware Engineering. After reviewing the draft SEAF, Gossips raised questions about some the answers given, and earlier this week, we shared the results Timothy O'Connor got when he used the Department of Environmental Conservation's EAF Mapper to complete the SEAF. Given this discrepancy, on Tuesday night, the Common Council decided to complete the SEAF themselves, and as the clock edged toward 9 p.m., Moore read out the twenty questions that make up Part 1 of the Short Environmental Assessment Form, and the aldermen indicated their answers, No or Yes--a process that often required a show of hands to reach consensus. The aldermen's answers to the key questions about wetlands and natural resources were Yes, in agreement with the answers derived by using the DEC Mapper and in disagreement with the answers provided by Delaware Engineering. It was after 9 o'clock when the aldermen had finished answering the twenty questions in Part 1 of the SEAF. When city attorney Carl Whitbeck advised them that they now had to go on Part 2 of the form, which requires deciding, in eleven different categories, between "No, or small impact may occur" and "Moderate to large impact may occur," the aldermen's resolve flagged. Alderman Tiffany Garriga (Second Ward) moved to table the process until their next meeting, presumably so that she and her colleagues could give some thought to the magnitude of the impact of the proposed action on natural resources and environmental resources, but in the end it was decided that the Council would "bring Delaware in to ask them why they answered the questions as they did." According to John Mason's report in today's Register-Star, a return appearance by Delaware Engineering isn't likely, since DPW superintendent Rob Perry called the request "unacceptable." Mason's article, which stresses the time constraints for the project, is recommended reading: "Stormwater project put on hold, again." Also recommended is the testimony by the South Bay Task Force, a greatly abbreviated version of which O'Connor presented at Tuesday's Council meeting. This Sunday, May 24, at 11 a.m., a celebration of the remarkable life of Christina Malisoff will take place at the Hudson Opera House. Those attending are invited to bring a dish to share. The following appeared on the Hudson Police Department's Facebook page this afternoon. The fact that the police are involved suggests that whatever happened went beyond yelling, honking, and rude gestures. On Sunday, May 31, the Hudson River Historic Boat Restoration & Sailing Society is hosting an Edwardian Great Lawn & Porch Party at the historic Astor family estate Rokeby in Barrytown, and today is the last day for making a reservation to attend this uniquely Hudson Valley event. The afternoon provides an opportunity to dress like a character from the first season of Downton Abbey (in other words, in the fashion of the Edwardian Era), if you so desire, but whatever period attire you elect to wear, you can stroll the grounds of the two-hundred-year-old mansion, tour the grand hall, the library, the parlor, and the dining room, enjoy picnic fare provided by Bruno's, and imbibe Hudson Valley wine, signature cocktails, and sparkling water. The event takes place from 3 to 6 in the afternoon, and at 4 o'clock, Halsey Herreshoff, prolific designer of production and custom yachts, will speak about his racing experiences, the America's Cup, and things dear to sailors. The Herreshoff family is known for designing and building high quality yachts, among them the famed Reliance and Westward, the most technologically advanced racing yachts of their time. 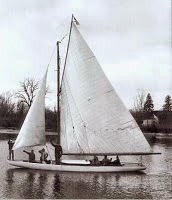 The event benefits the Hudson River Historic Boat Restoration & Sailing Society's major project: the ongoing restoration of the historic Hudson River racing sloop Eleanor. Specifically, the proceeds from the event will go toward purchasing the spars for the historic boat, which spent its days sailing on the Hudson between New York City and Albany and will someday do so again. So, before this day is over, click here to make a reservation to attend this very special event. This Just In The deadline for making reservations for the Great Lawn & Porch Party has been extended until May 26, but make your reservations today anyway. 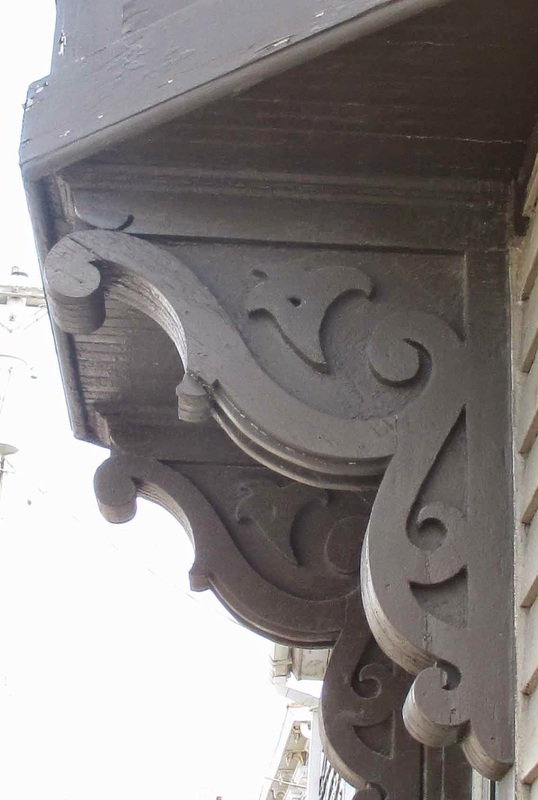 The Historic Detail Hunt continues! Each day in May, Gossips publishes the picture of an architectural detail found in Hudson. 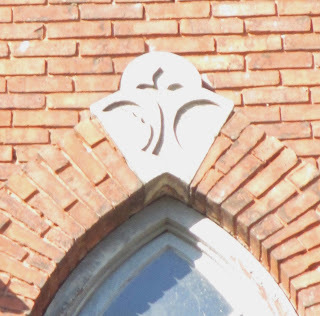 Join the hunt by locating each detail, recording the address of the building on which it is found, and submitting your answers to Gossips at the end of the month. Here is the detail for today.